Hiring top quality but affordable handyman services in Dallas, Texas is critical to maintaining your property value. Do you really want to fix something yourself and always be wondering if you did it correctly? If you’re not sure what you’re doing, you can end up causing more damage and costing yourself more money. 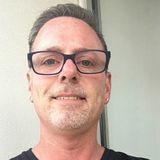 MeetAHandyman.com connects property owners to a nationwide community of home repair services & jack of all trades general contractors. With so many prospective handymen to choose from, we take the difficulty out of finding the right Dallas handyman near you. 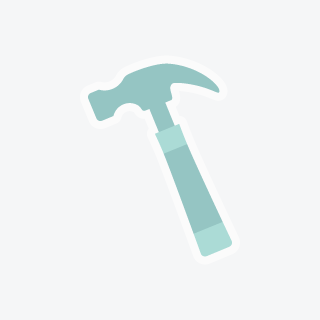 Whether you’re planning a home renovation project or require help with a simple repair job, our extensive directory of local handymen in Dallas is the perfect place to find someone for the job. From painters to general contractors, plumbers, electricians, landscapers, roofers, and anyone else you can think of, you will be able to find the person you need for your Dallas home improvement project. 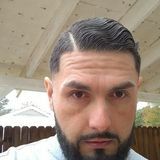 There are two ways to find a handyman in Dallas on MeetAHandyman.com. 1) Browse the available Dallas handymen below- review their profiles and then contact them to set up a meeting. It’s really that simple! 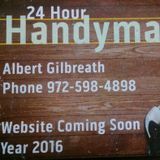 Browse handyman profiles below to find the perfect home service provider for all your Dallas area home improvement needs. Botello's Handyman Comp.Botello's Handyman Comp.Botello's Handyman Comp.Botello's Handyman Comp. Free est..... PLUMBING, ELETRICAL, ECT.I ALSO WORK ON SIGNS .REPALCE BALLAST, BULBS, PAINT, SOCKETS,...I HAVE 18YEARS EXP..Free est..... PLUMBING, ELETRICAL, ECT.I ALSO WORK ON SIGNS .REPALCE BALLAST, BULBS, PAINT, SOCKETS,...I HAVE 18YEARS EXP..Free est..... PLUMBING, ELETRICAL, ECT.I ALSO WORK ON SIGNS .REPALCE BALLAST, BULBS, PAINT, SOCKETS,...I HAVE 18YEARS EXP.. 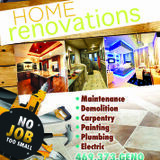 I do everything from painting, drywall, tile, carpet, doors, decks to full remodels. Also in stall windows and bathtubs.I do everything from painting, drywall, tile, carpet, doors, decks to full remodels. Also in stall windows and bathtubs.I do everything from painting, drywall, tile, carpet, doors, decks to full remodels. Also in stall windows and bathtubs.